We know how much you love green smoothies. You have one every morning and even bake up these smoothie muffins, griddle up these smoothie-inspired pancakes, and indulge in this green banana-mango-pineapple vegan ice cream. Don't stop there! 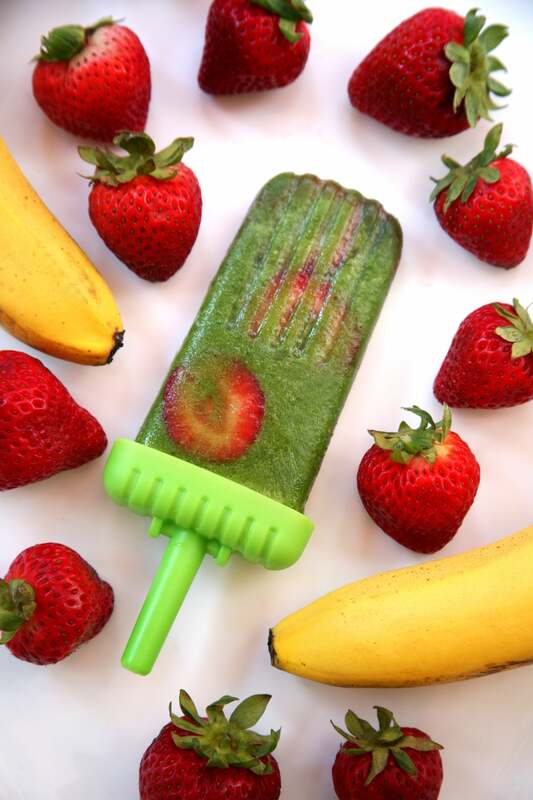 Feed into your smoothie obsession with these green smoothie popsicles. They're made with just four ingredients, and their refreshingly light and fruity flavor is just what you crave on a hot Summer's day. 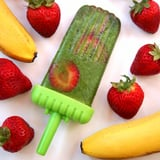 The added bonus is that each popsicle is filled with all the same nutrient goodness as a traditional green smoothie. Blend spinach, bananas, and coconut water in a blender until smooth. 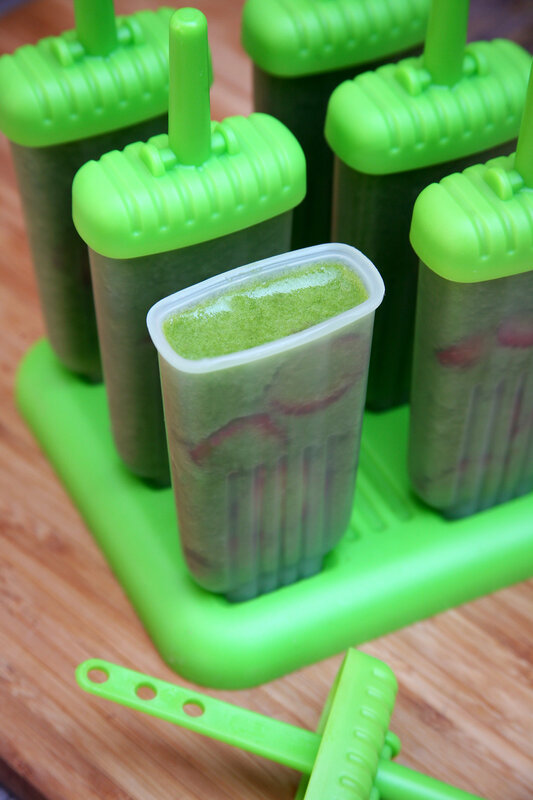 Divide the mixture evenly between the six popsicle molds. 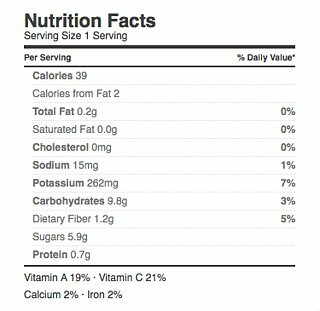 Add a bunch of sliced strawberries to each one. For looks, use a skewer to press each slice against the inside walls of the mold so you can see the red color better. Run under warm water to help the popsicle release from the mold, and enjoy!